At Creators of Total Comfort our business model is simple – deliver great HVAC maintenance and repair services at fair prices to clients in Northern Virginia. Our organization is committed to excellence and upholding the highest standards of professionalism and integrity when working with our customers, suppliers and partners. 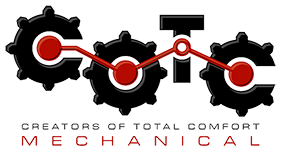 We understand how important your heating and cooling systems is to your home and business and consider each client a part of the COTC Mechanical family. HVAC installation, repair, replacement or routine maintenance; Creators of Total Comfort has you covered. Learn more about our residential HVAC services and maintenance plans today. Complete worry free commercial HVAC services that save your organization money while keeping your customers comfortable and employees happy and productive. Let the precision cooling experts at Creators of Total Comfort Mechanical install, diagnose, maintain and repair your data center cooling system. 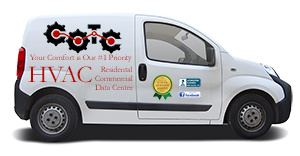 We’ll keep your data center equipment cool. We make scheduling service easy and pain free. You can call us at 703-966-0057 M-F 7:00 am to 5:00 pm. Email us or complete our online form. Email and online requests are handled promptly during normal business hours. For after hours emergency service please call us.